Hi! Welcome to the PROXY Pro FAQ. This FAQ is intended to provide a better understanding of Proxy Networks’ software. You'll find information about PROXY Pro’s features and some basic troubleshooting tips. General questions? Feel free to contact us. Support related questions or issues? Send any of those here. Proxy Networks, Inc develops, markets, distributes and supports reliable, low-cost remote access software allowing for small to medium businesses that have dynamic remote access requirements. Take attended or unattended remote control, for remote support, training, meetings and more. We acquired our product base, technology and staff from Juniper Networks, Inc. after Juniper's purchase of Funk Software, Inc.
What is the difference between your three products? • PROXY Pro Workstation Edition is an easy-to-use remote support tool using a simple peer-to-peer connectivity model between helpdesk technicians using the Proxy Master and end-user remote computers running the Proxy Host. It is ideally suited for companies with flat-level networks whereby all machines are within the same network, and who do not need collaboration (many-to-one) and off-network connectivity. Consists of the PROXY Pro Master viewer, PROXY Pro Host client and PROXY Pro Deployment Tool. • PROXY Pro RAS is Proxy Networks' flagship on-premise remote desktop support product for IT administrators and support teams alike. The web console also includes the PROXY Host on Demand, a temporary client that allows users to share their screens for on-the-fly support sessions, and can be removed from the system by the user at any point. Utilizes a concurrent licensing model instead of a per-seat basis. Ideally suited and scalable for enterprises with global locations, organizations with multiple business entities that require broad ranges remote access capabilities across multiple departments. Consists of the PROXY Pro Master viewer, PROXY Pro Host client, PROXY Pro Deployment Tool and PROXY Pro Web Console. • PROXY Air is a new hosted remote desktop service from Proxy Networks. For organizations without a server, without control over their firewall and/or is simply looking for a better alternative to current remote support tools, Proxy Networks now has an entry in the hosted remote desktop market. What operating systems will PROXY Pro support? For the Master and Host, Windows 7, 8, 10, Server 2008, 2012 and 2016. For the server components, (any edition of) Windows Server 2012 and 2016. Mac requires Sierra+ for the Mac Master and Host on Demand. What ports and protocols does Proxy Networks software use/support? The ports are configurable but by default, the Proxy Host service listens on port 1505 and the PROXY Gateway listens on UDP/TCP port 2303, or 443 if using SSL. Will Proxy Networks software work in a Citrix environment? Yes. There is a new PROXY Pro component called the Root Host, which will run on a Windows or Citrix Terminal Server and inject a Host instance into a terminal server session. The Host instance can only be used with the Gateway. No software or communication is required with the endpoint device in a terminal server environment. This is an advanced and unique way to support users within thin client sessions. How much does Proxy Networks cost? Every customer is unique. It would be best to call one of our sales members at 1-877-PROXY-US (1-877-776-9987 or 617-453-2700) for pricing information. How secure is Proxy Networks? Our Private Cloud Edition boasts 7 layers of security - check out our 7 Layers of Security PDF. Will Proxy Networks allow me to gain access to unattended Host machines? Yes, this is configurable during Host installation. PROXY can also be configured to only allow connections if the Host explicitly grants access. On the Proxy Host Control Panel’s “Access” tab, setting the Host to “No Permission Required” will allow connections without an end user acknowledgment. Does Proxy Networks, Inc. have a wikipedia page? Yes and we try to update it annually. http://en.wikipedia.org/wiki/Proxy_Networks,_Inc. Has the Gateway Edition been retired? The Gateway Edition and the MMC-based Gateway Administrator management tool have been retired at version 9. The Gateway Edition has now transitioned into PROXY Pro RAS in version 10, which still has the same Master and Host components, plus a server-based web console front-end for administration instead of the aging MMC console. What makes PROXY Pro unique? The PROXY Pro product line is the culmination of 20+ years worth of market and customer-driven feature requests by the very people who manage networks. Proxy Networks has always been an installed software that runs securely within the customer's network, meaning that screen data never travels through any third party servers owned by others. Proxy allows you to truly own your remote access data, and define who gets access to what using the Windows Security Model. The management of remote access, and the consolidation of remote access tools into one (Proxy) is our greatest strength. Does Proxy Networks have support agreements? Yes. When purchasing Proxy Networks, Maintenance & Support is 25% of the licence cost. This allows you work with our support team (live humans!) for priority service, technical training and support, along with entitlement to all of the latest and greatest releases and updates throughout the duration of your contract. We keep our roadmap aligned with the best interests of our customers. How many releases does Proxy Networks release each year? Though we plan for 2-3, we usually have one every other month depending on the influxes of feature requests. Does PROXY Pro support dual or multi monitors? Yes. Proxy will gather & transmit data from all monitors recognized by Windows on the Host machine. The Master's connection window has a "Montior Select" drop-down, so that Proxy could focus only the monitor of choice within the connection windlw. Within the connection window, a user may select only the primary monitor to be displayed, or just the secondary. By default, all monitors will be shown. Can I mass-configure the Proxy Host machines via script? "C:\Program Files (x86)\Proxy Networks\Proxy Pro Host\PhSetup.exe" addlicense:"1234 5678" removegateway:all addgateway:"TCP|2303,gateway.address.com" name:”%USERNAME% on %NAME%"
What languages does PROXY Pro come in? PROXY Pro comes in two languages, English and German. Are connections encrypted using Proxy Networks? How does Proxy Networks handle security? Proxy uses the Windows Security Model for authentication. This means administrators of Proxy may define user access rights tied to existing users/groups within a domain. Can you show me what a basic PhSetup command would look like? Sure! This PhSetup command attempts to apply a license key 12345678, it removes any Gateways its presently reporting to and tells it to report to a gateway at Gateway.Address.com on TCP 2303. It also configures the Hosts tp appear as the logged-in username on the computername (jsmith on computername)“C:\Program Files (x86)\Proxy Networks\Proxy Pro Host\PhSetup.exe” addlicense:”1234 5678” removegateway:all addgateway:”TCP|2303,gateway.address.com” name:”%USERNAME% on %NAME%”"
What are the system requirements for the Proxy Web Console server? Can I suppress end user keyboard & mouse? Yes, our software allows for this. The Proxy Host machine must be configured to allow the Master user to suppress the keyboard and mouse from the end user, which is on the Proxy Host Control Panel's "Options" tab. When set to "Suppress input if Master requests it", the Master user may hit the "Suppress Host Input" button found on the connection window. Note: This feature is not available on Mac, or on the Host on Demand when not running pinned. I'm an existing customer, how do I upgrade to the latest version of Proxy Networks? Please skim the 1-page "Best Practices for Upgrading" PDF found underneath the product you own here. Does Proxy Networks support screen recording? Screen recording is included with our Gateway Edition and Private Cloud Edition products. An administrator of the Proxy software dictates what users have the capability to initiate screen recordings. The screen recording files themselves are stored on the server-side, in the Proxy Gateway installation directory. Though they are stored in our proprietary format, they are exportable to .WMV for playback in your preferred media player, or editing in your preferred video editing software. Advanced screen recording needs can be accomodated by our Automatic Recording capability. A rule may be set that requires all Host connections be recorded, or you may choose that only certain groups of Hosts are recorded. Or, you may want a particular users' sessions recorded which is also supported. How large/small are the screen recording files? Unfortunately there is no straight answer. Too many variables come into play that will affect the size of the recording such as the Host's Windows resolution, the amount of monitors connected, the amount of windows open, the nature of the activity on the windows in terms of animations, and more. The best answer we can give would be to try it in your own environment to determine real-world results - we would be glad to facilitate your testing. Does your product support Wake-on-LAN (WOL)? The Gateway Edition and Private Cloud Edition support WOL, the Workstation Edition does noL. The WOL packet gets sent from the server to the target machine, and WOL would need to be enabled on the machine (in the BIOS) and on the network. Can I make a shortcut to a machine? Yes - from the Proxy Master, right-click the desird machine, and choose "Save as Shortcut". Save it to your Desktop and simply double-clicking this shortcut will launch the connection. Can I make a list of frequently accessed machines? Yes, this can be done from the Proxy Master. Right-clck a machine and choose "Add to Favorites". Any machine added will appear on the "Favorites" tab of the Proxy Master. Will Proxy Networks work across a VPN? Yes. The only problem you may face is disconnections if you connect over UDP in Proxy. The VPN client dictates the MTU (maximum transmission unit) size and can disrupt the Proxy connection . TCP ignores any MTU restriction set by the VPN, so this is one workaround. Report the issue to support@proxynetworks.com and we will help resolve it by changing the Proxy MTU size to match that of your VPN client if you must stick with UDP. Can I copy polling ranges from one Master to another? Why yes! The Proxy Master settings, including poling ranges, are stored in the registry in the HKCU hive. Open regedit and navigate to one of the following locations, depending on the version Master being used. After you’ve defined your ranges, this is the key to copy & move to other computers running the Proxy Master. PCI compliance is a set of best practices and guidelines for proper network management. Proxy adheres to PCI compliance with screen recording off. Because Proxy does not store, transmit or process credit card information, we are compliant. Screen recording can be disabled completely or enabled selectively. How are new releases and software updates communicated? At blog.proxynetworks.com you may subscribe to receive email notifications when new information about updates becomes available. How often does Proxy Networks make new releases? Between major, minor and maintenance releases, expect a half dozen incremental releases per year. Does Proxy Networks log connections? All connections made to a computer running the Proxy Host are recorded to the Windows Event Viewer. The Gateway Edition and Private Cloud Edition centrally record all connections made, and keep an audit log (.CSV file). The Proxy Web Console allows you to generate remote access reports to determine who accessed what and when, and for how long. From your Proxy Web Console's landing page, log in as an Administrative user. Right-click "Mnaged Hosts" and choose "Add New Group", enter a group name and optionally a description. Log into the Proxy Web Console as an Administrative user. On the "Accounts" tab, click "Edit" next to an existing Master account user. Using the list of checkboxes, check the boxes next to the groups you would like this user having remote control access to. Or, watch this segment of our Private Cloud Edition First Time Setup video which covers the process of telling the software who is allowed to access what. I’m a PROXY Pro RAS customer with a new hire. How do I make them a new user within PROXY Pro? Log into the Proxy Web Console as an “Administrative” user, and visit the “Accounts” tab. Click “Import New Account” and enter the account name. Click Next, and choose their role. Choose the middle radio button to make them a “Master” account user, click Next, and lastly choose what groups you want this user accessing. Master accounts may access one or more groups of Hosts, based on their role at your company. What is the PROXY Pro Gateway Edition? PROXY Pro Gateway Edition existed from versions 5 through 9 and has been re-named to PROXY Pro RAS for v10. It uses an MMC-based console to manage remote desktop activities while the current version leverages a web console for management. It leverages centralized administration, security and network access to simplify and automate the creation, management, and monitoring of this "network within a network". The PROXY Pro Gateway Edition was ideally suited for enterprises and corporate domains with large numbers of remote computers, multiple domains and/or employees with remote computers outside the network. Additional features over the Workstation Edition include many-to-one connectivity, off-network support, screen recording and playback, centralized administration and centralized connection audit logging. What is PROXY Private Cloud Edition? PROXY Pro Private Cloud Edition was the name to Proxy Networks' flagship product up through version 9 and is now known as PROXY Pro RAS. It's an on-premise, enterprise-class server-based remote access software platform allowing support teams and IT administrators to take remote control of computers from anywhere and at any time. Includes the PROXY Pro MAster viewer, the PROXY Pro Host client for screen sharing and the PROXY Pro RAS server for connection management, access controls and administration. How do I clear the ClickOnce cache? Can I view/edit Host Settings remotely from my machine? If you need to make a one-off adjustment to a couple Proxy Host machines out there within your LAN, there's a command you can run to cause another machine's Proxy Host Control Panel to launch on -your- machine. The command must be run from a machine that has the Host on it, from within the Host's installation directory. Navigate to C:\Program Files (x86)\Proxy Networks\PROXY Pro Host, and your command is "phost /sMACHINENAME". To automate setting changes on numerous machines, we recommend using the Deployment Tool's "Update Host Settings" or PhSetup, the Host's command-line configuration utility. Why is it that when I attempt to connect to a Host, the connection window fails and returns c004c001? First, try to make sure the Host machine is actually online. Second, check to see if the Proxy Host Service is running on the remote machine. If this is a Gateway-based connection, open the Proxy Host Control Panel to the “Gateways” tab and note the status. A cube with a yellow or green dot indicates that the Host thinks it’s successfully communicating with your Gateway server. If there’s a cube with a yellow triangle, note the error and report it to support@proxynetworks.com. To learn about keyboard shortcuts, press shortcut Ctrl+slash. How do I enable Single Sign On in my Proxy Web Console? Log into your Proxy Web Console as an "Administrative" user. On the "Gateway" tab, click the "Web Console Settings" sub-tab. Click "Edit" next to the "Application Access - Internal" section. Note the radio buttons at the top - select this to Single Sign On. The resulting expected behavior is that you should now be able to click "Find a Desktop" from the landing page, and have yourself be automatically logged inwithout a credentials prompt. As long as the user is on the "Accounts" tab, and is logged into Windows as that same account, SSO then take effect. How do I enable the Host on Demand? From the Proxy Web Console's "Gateway" tab, click the "Web Console Settings" sub-tab. Scroll down to the Host on Demand section and hit "Edit". Simply move the radio button from Disabled to Enabled, and hit Apply. Note that you will need to specify the server connectivity details in the "Application Access" sections, so that the Host on Demand knows how to talk to the server once launched. I'm running the Proxy Host on Windows Server 2008 and I am having slow response times and/or poor overall remote control performance. Proxy Host supports two modes of screen capture, User Mode and Kernel Mode. One mode may work better than the other based on the nature of the machine’s duties and what is on the screen. On the Proxy Host Control Panel’s “Screen” tab, note which mode you are on. Setting the screen capture mode to “Kernel Mode” is known to dramatically improve performance. My Proxy Master’s “Gateway Hosts” tab / my Proxy Web Console does not show a Host that I expected to be able to find & connect to. What can I do to make sure it appears? Ensure the Proxy Host on that machine is successfully reporting into the Proxy Gateway/Web Console server. Open the Proxy Host Control Panel to the “Gateways” tab and verify that your Gateway’s address is listed. If the field is blank, click Add Gateway to enter the server connectivity details. If you find that many machines are missing this configuration, you can use the Proxy Deployment Tool to do an “Update Host Settings” to mass-configure a number of machines to report in. If you are not an Administrative user of Proxy, your systems administrator (or Proxy Champion) should verify that your user account has the proper visibility rights. For example, if the Host is in the “All Hosts” group (only) and the user has access to a group called “End User PCs”, ensure you've moved this Host into that group. Then the Host should be accessible for connectivity. Performing this exercise rules in/out permissions issues. I’m planning to include the Proxy Host software on an image to be distributed - what kind of preparation is needed? The short answer is that we’ll run hostprep -y in the command prompt immediately before taking the snapshot, the more detailed answer on how to do this is below. Each Proxy Host machine has its own unique identifier represented as a GUID, and it stays on the machine even after an uninstall/reinstall. That being said, each machine needs its own GUID for the Proxy Gateway/Web Console Server to distinguish one Host from another. We provide a utility called HostPrep that will ensure that duplicate GUIDs are not issued. Please run our HostPrep utility before running Microsoft's SysPrep. This is available on the downloads page. After installing & configuring the Proxy Host on your base image, you’re ready to run HostPrep. To do so, place HostPrep.exe on the root of C:\ (or somewhere easy to get to), open a command prompt, navigate to that directory and type: hostprep -y. The utilities zip file containing HostPrep is available at the downloads page at https://www.proxynetworks.com/downloads. I need to change the Host Settings on my machines, how can I automate that? 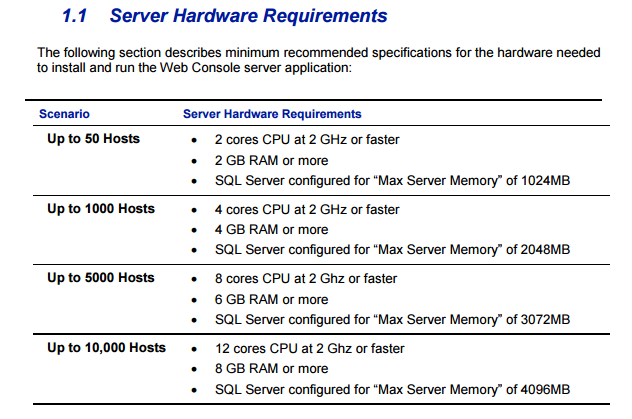 Here's a PDF that explains the core Host Settings everyone needs: Proxy-Host-Settings-Checklist. My Proxy Host machines show up by computer names but I would rather them show up as the user name and the computer name. How do I get them to show up like that? The Proxy Deployment Tool lets us configure Hosts from afar. If you follow the steps in the prior item, the one setting to adjust is as follows. The “Station Name” field can be set to %NAME%, which resolves to the computer name. Or, %USERNAME% which returns the identity of the logged-in user, in the fashion of “jsmith”. If you’d like to see the domain, enter %USER% and Hosts will appear as “DOMAIN\jsmith”. Does Proxy support the use of SSL and/or HTTPS? The details on this, along with setup instructions, can be found in our "Using Proxy & SSL" PDF. Write us at support@proxynetworks.com with any specific questions. I connect to a machine but don't have mouse/keyboard control! This can happen when there is a mix of Proxy versions involved in the connection. For example, if the Master version is older than the Host, input control may fail, and upgrading the Master should take care of this. If the problem persists, report it to support@proxynetworks.com. How do I mass-deploy Proxy Networks software to machines on my LAN? Proxy Networks is installed using a standard MSI file along with an optional and recommended transform (MST) file that you generate with the Proxy Deployment Tool. You may use these standard files with your deployment tool of choice. We supply our own Proxy Deployment Tool within each software zip file which allows you to create a custom installation package that can contain and apply your desired settings at installation time. Search YouTube for the Proxy Networks Deployment Tool Walk Through and you’ll learn the process to use the tool. PLEASE NOTE: If you are deploying from an image containing Proxy Host, you must first run the provided HostPrep utility before archiving the image. This will prevent all of the target machines from having the same Host ID which can cause issues. Our YouTube channel now has a Deployment Tool Walk-Through video demonstrating best practices for all customers. How do I point a Host to a Gateway? There are a three ways to configure a Host to report to your Gateway. Manually is one way, utilizing PhSetup (the Host's command-line configuration utility) in a login/startup script is another, and the third would be using our own Proxy Deployment Tool, allowing you to create a settings template in a UI and then send them out to machines, effectively allowing you to configure and reconfigure as you please. To manually point a Host to a Gateway, open the PROXY Pro Host Control Panel. It can be opened from the start menu or from the tray icon, if visible. Click the "Gateways" tab and then you'll be prompted to input the PROXY Pro Gateway server's address. Enter its IP, server name, or DNS alias, and optionally select your custom port designations (if applicable) and click OK. The Host will attempt to communicate with your Gateway server by those connectivity details. Check your "All Hosts" group from either your PROXY Pro Master or Web Console for your Host! PhSetup is the PROXY Pro Host's command-line configuration utility, you'll run this command from the Host's installation directory: addgateway:"SSL|8443,proxy.yourwebaddress.com"
"C:\Program Files (x86)\Proxy Networks\PROXY Pro Host\PhSetup.exe" addgateway:"SSL|8443,proxy.yourwebaddress.com"
Copy/paste the above in Notepad, save as .bat, run (as Administrator) and check the PROXY Pro Host Control Panel's "Gateways" tab to confirm that the Host is now configured to report in. From the PROXY Pro Deployment Tool, expand Product Configurations. Right-click Host and click New -> Configuration. Give it a descriptive label when prompted. The right pane will now show a long list of each Host Setting. Double-click the line that says "Gateways" and click "Add" to enter the Gateway connectivity information. The Proxy Gateway/Web Console server's address can be a server name, a DNS alias, or its straight-up IP address. Click OK when done. Now, to update the Host(s)! In the Deployment Tool's left pane, right-click Active Directory Domains and click "Refresh". Once it finds your domain, refresh again and now you should see your OU structure. Right-click a Host and choose "Update Host Settings". Last, you'll have a drop down to select your settings templates (if more than one are present) and click "OK" to send out the settings update. Open the Proxy Host Control Panel on the machine (Start > Programs > Proxy Networks > Proxy Host Control Panel). On the "Gateways" tab, click "Add Gateway" and enter the address of your server. This can be a DNS alias, the servername, or the straight-up IP address. Use the drop-down to select the protocol, and optionally enter a custom port if needed - otherwise click OK and click Apply. Clicking Apply will cause the Host to say hello to your server, and you should then notice either a cube with a yellow dot (if the Host is within the same LAN) or a green dot (if the Host is reporting in across the internet). PhSetup.exe can be found inside the Proxy Host installation directory.. All PhSetup commands are documented at the end of the Proxy Host Manual PDF here and to save you the reading, here's the exact command you would use. Substitute the actual IP address instead of the same address I have in red. "C:\Program Files (x86)\Proxy Networks\Proxy Pro Host\PhSetup.exe" removegateway:all addgateway:"IP|2303,192.168.1.1"
Copy/paste the above into Notepad, replace the 192 address with that of your own, and note that IP refers to the protocol UDP. Substitute TCP or SSL if applicable. ...with the Proxy Deployment Tool? a. First, make sure the Deployment Tool is installed, you can grab the zip file containing it here. Note that the machines you want to update need to be on the same network as you, and you need to be logged into Windows & using the Deployment Tool as a member of the target computers' local Administrators group. If these two items check out, let's go! b. From the Deployment Tool, expand Product Configurations. Right-click Host and click New -> Configuration. Give it a descriptive label when prompted. The right pane will now show a long list of each Host Setting. Double-click the line that says "Gateways" and click "Add" to enter the Gateway connectivity information. The Proxy Gateway/Web Console server's address can be a server name, a DNS alias, or its straight-up IP address. Click OK when done. Now, to update the Host(s)! c. In the Deployment Tool's left pane, right-click Active Directory Domains and click "Refresh". Once it finds your domain, refresh again and now you should see your OU structure. Right-click a Host and choose "Update Host Settings". Last, you'll have a drop down to select your settings templates (if more than one are present) and click "OK" to send out the settings update. I ran into this error code! What does it mean and what should I do? A note about Proxy Error Codes and Windows Error Codes. Most Proxy error codes start with 0xC...and Most Windows error codes start with 0x8. Google will help with any Windows-sourced error codes. 0xc004c012 - Host in Use. This means that someone's already connected to the Host, on the Master's Peer to Peer Hosts tab, or, someone's connected to it already through a Proxy Gateway and you are attempting a Peer to Peer connection. Bouncing the Proxy Host Service kills all connections to the machine and will boot off a remote user who forgot to disconnect. 0xc004c018 - The Host is configured only to accept connections from the Gateways its reporting to. Check the Proxy Host Control Panel's "Gateways" tab and uncheck the tickbox at the top. Note that the Host may be configured this way on purpose, so that all connections are centrally logged. 0xc004c009 - Corrupt shared secret password between the Host and Gateway. Ths is most likely encountered after running RmHostID to clean up duplicate Host GUIDs. Either run PhSetup resetgateway:all on the Host(s) or delete the Gateway from the Host and re-add it, and the Host and Gateway will re-establish their security model and clear up this error state. 0xc004c002 - The Host is reporting into an older, unsupported version of the Gateway. The Host version can always be equal to or lesser than the Gateway. 0xc004c02E - The Host can report this error if it was contacting a server by a DNS alias, whose certificate name did not match that of the address. For example, if the server says mirror.server.com, and the server is named mirror2.server.com the Host will not trust the second server and disallow connections because the certificate name doesn't match the server name. 0xc004c02a - The most likely scenario to see this is when you’re connected to a Host, and then the connection drops unexpectedly, and the reason is usually because the Host is reporting to the Gateway with a VPN client active. Contact us for instructions on resolving MTU/VPN-related settings. 0xc004c055 / 0xc004c056 - The Gateway server is being pounded with Host Status Updates and is unable to accept new connections. Bouncing the Gateway Service temporarily resolves this problem, and upgrading to the latest release will permanently resolve this problem. 0xc004c050 - A DNS is being contacted, and it does not resolve to anything. Check to see if the DNS address is typed wrong or is down. 8a0c2002 - The Host is currently within the server's "Unmanaged Hosts" folder and therefore not ready to accept connections. Move it to the "All Hosts" group from the Gateway Administrator or the Proxy Web Console and the Host will no longer throw this error. 0x80070005 - This is a generic "Permission Denied" error code in Windows. Where can I find documentation on a Proxy Networks software component? Our downloads page has links for each of the most recent software manual (PDFs). In particular, this includes the PROXY Pro Host, Master, Gateway, Deployment Tool, Web Console Install Guide, and the Web Console Operations Guide. Where do I get an SSL certificate for my Proxy Web Console? We would refer to you to a trusted provider such as VeriSign or GoDaddy. Go Danica #10! I want to adjust my naming convention, what options do I have? Your PROXY Pro Host machines can be presented to you in your PROXY Pro Master or Web Console in a variety of ways. To set a Host's "Station Name" manually, open the Proxy Host Control Panel to the "General" tab. Below you will find a list of supported variables. The default value for Station Name is %NAME%, though most folks tend to run with %USERNAME% on %NAME%. This, along with any other Host Setting, can be globally applied via the PROXY Pro Deployment Tool's "Update Host Settings" feature. %USERNAME% - Logged in user at the Host machcine in "jsmith"
Adding the two netsh commands to an existing GPO login script is recommended as the best (global) approach to ensure machines can listen for inbound communications by the PROXY Pro Deployment Tool.